Homemade Bath Bombs are so nice to have on hand while taking a relaxing bath away from all the stress. Being a busy mother of 3 little ones, working full time, being a blogger and being a wife, you can only imagine how exhausting my life can be. After a long day of all the stress, I love to have a little getaway to the bath tub and to make it more relaxing, I love using bath bombs. 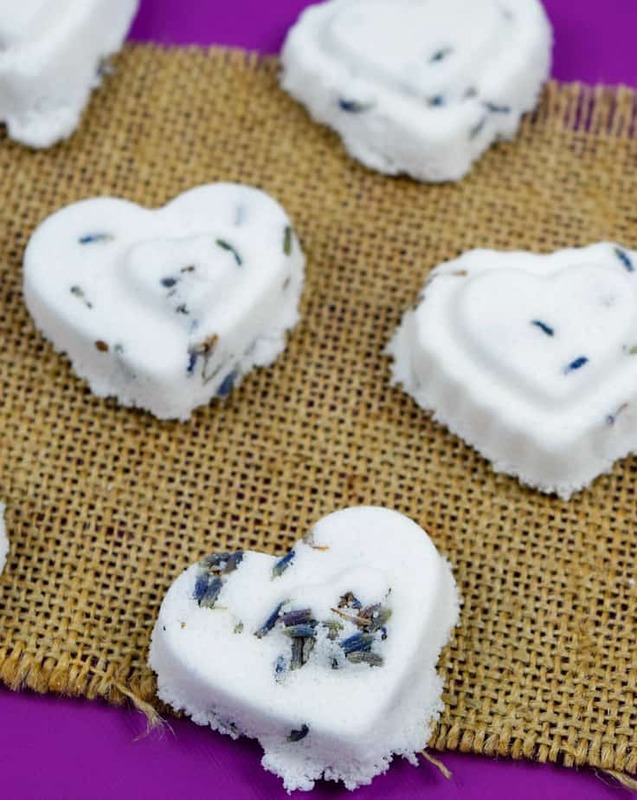 Store bought bath bombs can be so expensive and filled with artificial dye so I wanted to make these DIY lavender bath bombs. 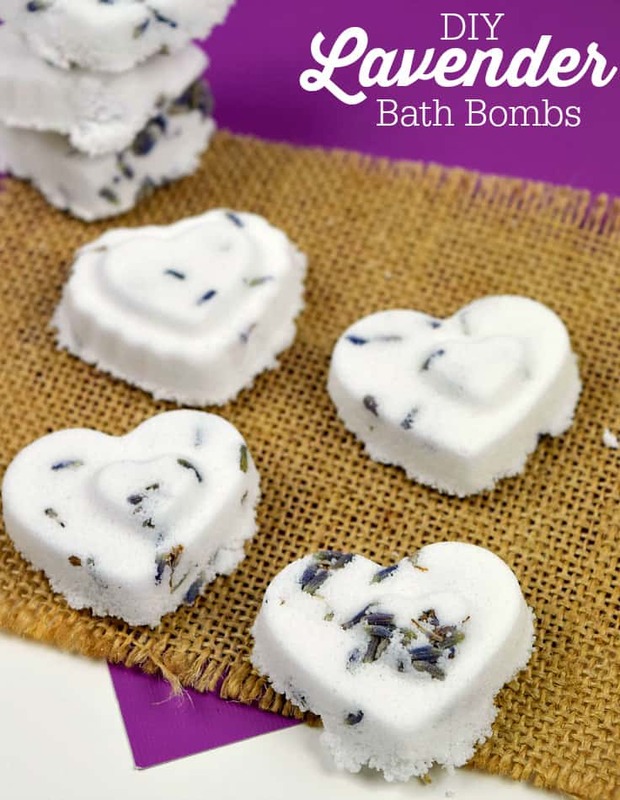 These bath bombs are so easy to make, take minutes to whip up and make the perfect gift for all occasions. 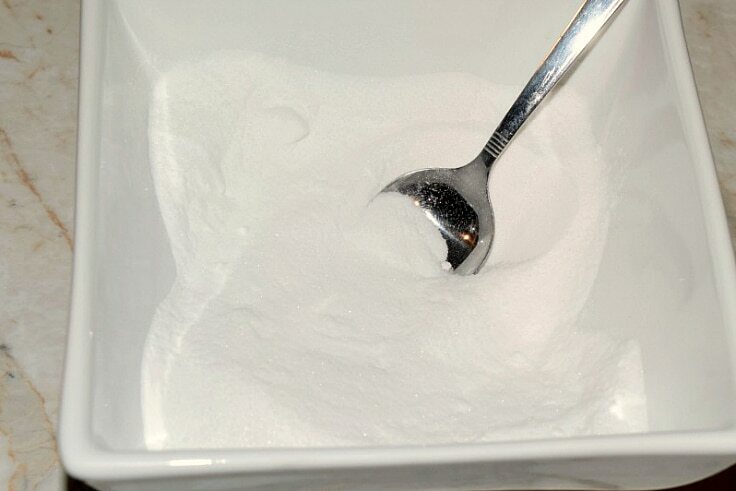 Grab your small mixing bowl and pour in your baking soda and citric acid and stir them together to combine. Grab your dropper and fill up with water. Now drop by drop carefully add in your water to the mixture and be sure to stir fast to keep the mixture from fizzing up. Add the water until your mixture turns into a wet sand consistency. 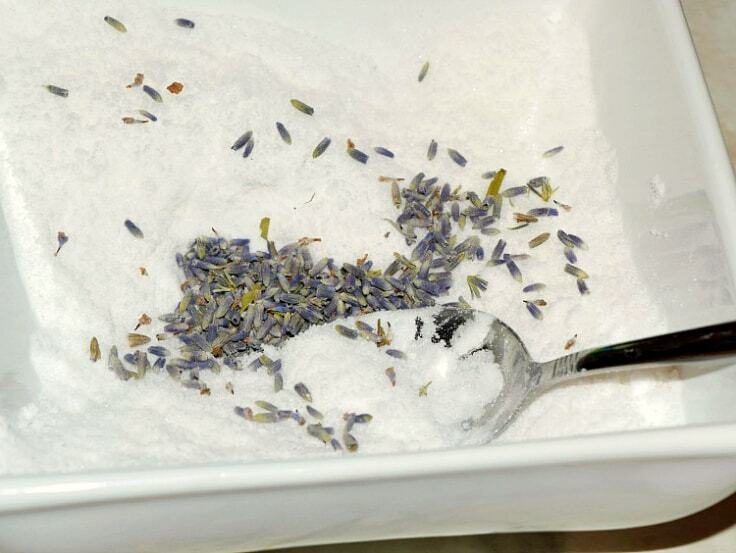 Now is the time to add in your lavender buds. Add in as many or as little as you want and mix it into the wet sand mixture. 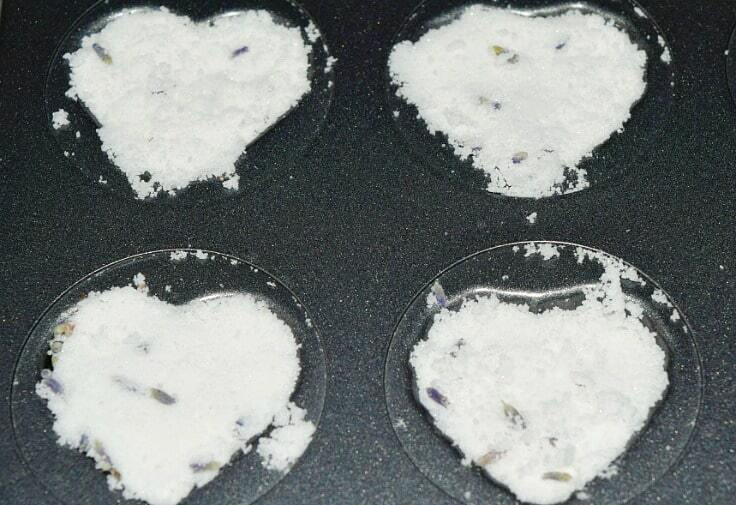 Spoon your Homemade Lavender bath bomb mixture into your Wilton heart pan and pack it in tightly. The tighter it’s packed the better these molds will hold up. Allow to sit in your mold for at least one hour and then carefully remove by gently tapping them out from the back of the pan. Allow to dry for at least 4 hours. To use, just drop in a body of water and enjoy. 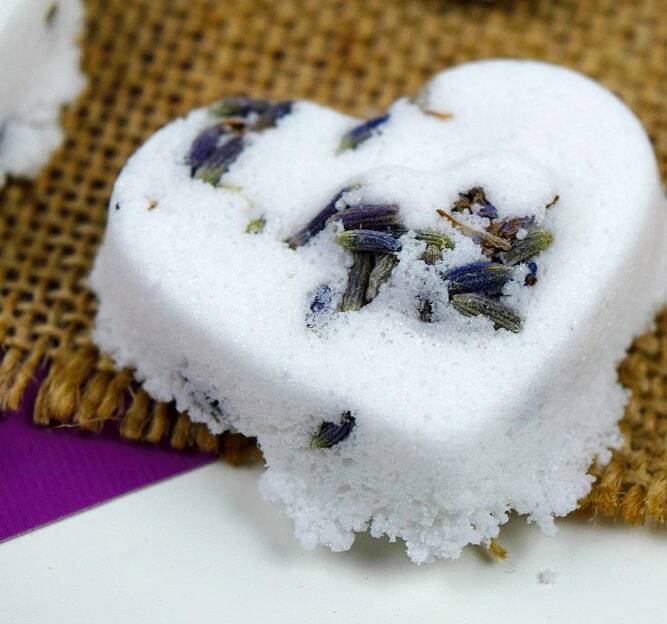 For more DIY beauty products check out these recipes for Peppermint Lip Scrub, Homemade Coffee Sugar Scrub, DIY Dry Shampoo for Brunettes, Homemade Lavender Bath Salt,Homemade Coffee Soap, Zesty Vanilla Rose Soap, DIY Coffee Body Scrub and Whipped Chocolate Body Butter. Would you make these for yourself or to give as a gift? The very talented Brittany blogs over at A Spark of Creativity where she focuses on DIY crafts, home décor projects, recipes and more! i like the bath bombs and i could use a stress reliever. Thanks for the instructions, I was thinking of making some of these next fall for Christmas presents. 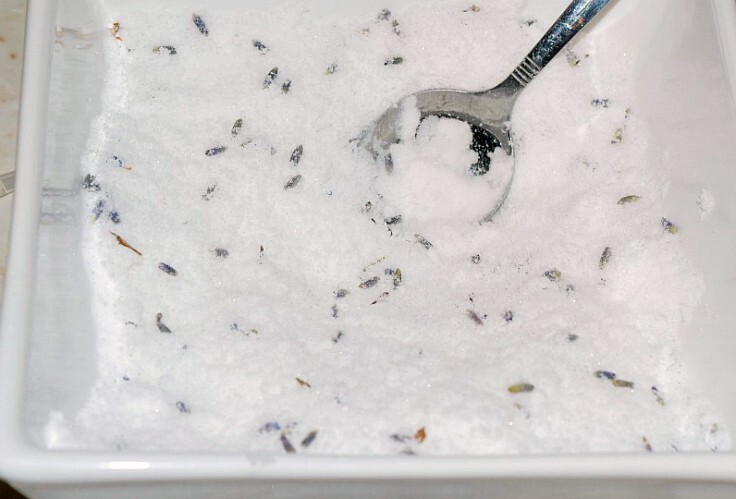 Going to get some lavender to grow this summer. Wow, these look and sound so cool. My daughter would love making (and using) them with me. Thanks for the how to….. They sound so easy to make! I enjoy bath bombs but rarely buy them due to the cost, but this sounds so economical. 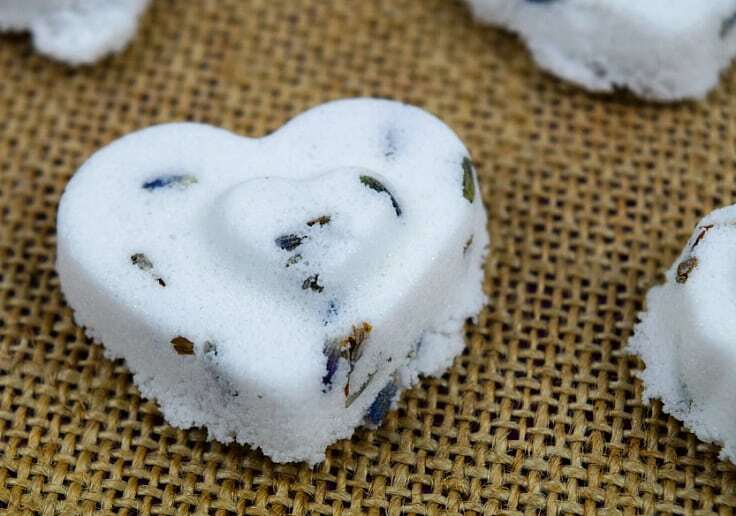 These bath bombs seem like they would be so easy to make. I have never made any home made soaps or candles. Love the scent of lavender and so relaxing. Thanks for this. That bath bombs look so nice. What a nice idea! These would make a great gift as well!